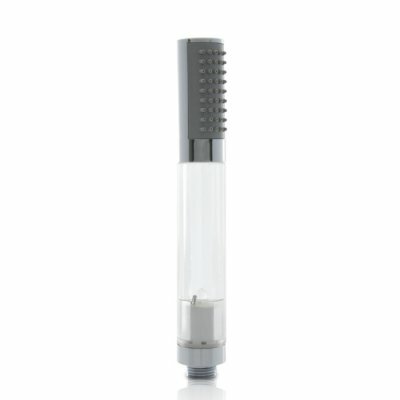 Successfully Added LED Color Changing Shower Head (Geyser Design) to your Shopping Cart. LED Color Changing Shower Head - wash your body in a vivid liquid flow with total safety! This lighted shower head detects HOT, WARM and COLD water and shows it to you by changing color according to the actual temperature of the water, ensuring you know by sight exactly what to expect before you jump in. It even flashes red if the water is too hot (above 51 degrees) so you do not burn yourself. A good feature to let your kids take shower by themselves once they are able to! Who else needs a color changing LED shower head? Everyone, or course! Why shower under one color when you can have a constant color show? Have the lights fade from one color to another by alternating cold, warm and hot water. It is recommended by doctors as it improves blood circulation! What more? It is ecological since no power is needed! This beautiful new design LED shower head is available at a factory direct price. Order it now and we will deliver it in a few days. As always, it is brought to you by the online leader of top gadgets and electronics, Chinavasion. No energy necessary; it uses water current as energy source. Easy retrofit installation, just twist off your existing shower head and replace with the new one. This model does not include a wall bracket or mounting hardware. How is the LED powered? The water current flowing through the shower head powers the LED. That is why when you install this shower head you might notice a slight decrease in the water pressure versus your previous non-LED shower head.